Oil change and car service provider Heartland Jiffy Lube found that its diverse and aging IT infrastructure was increasingly impacting operations and employee productivity. 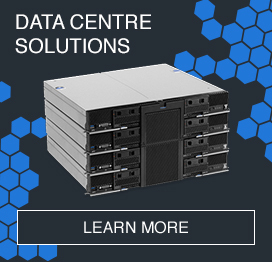 To boost availability and reliability, the company implemented Intel ® Xeon ® processor-equipped Lenovo Converged HX5500 Appliance with Nutanix Enterprise Cloud Platform software – radically simplifying its infrastructure. Today, Heartland Jiffy Lube has peace of mind that IT systems will run uninterrupted, all while leaving room for growth. The Lenovo HX Series solution meets all of our architecture principles in terms of availability, reliability, serviceability and scalability – more so than any other platform we’ve ever used before.